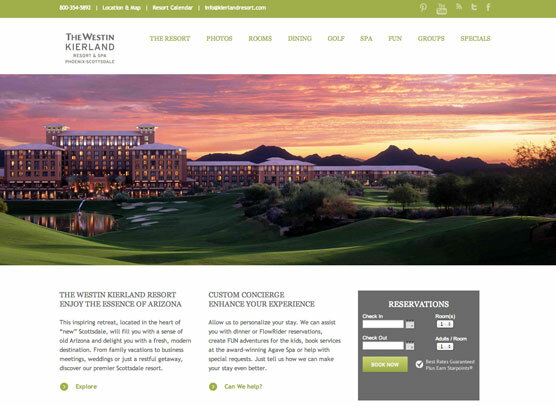 The Westin Kierland Resort engaged etainia for online marketing strategy and a redesign of their website in 2008. A new site was launched the following spring to rave reviews, increasing traffic, search engine positioning and all other measures of success. 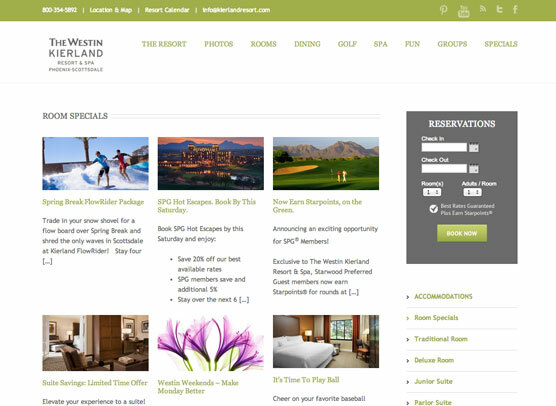 A blog devoted to the resort’s variety of special offers at the hotel, their restaurants and golf venues. An online store was established for Gift Card, spa and golf product sales. A monthly “Epicurean” email newsletter was also started in 2010 and quickly grew in size with improved results for their many promotions. 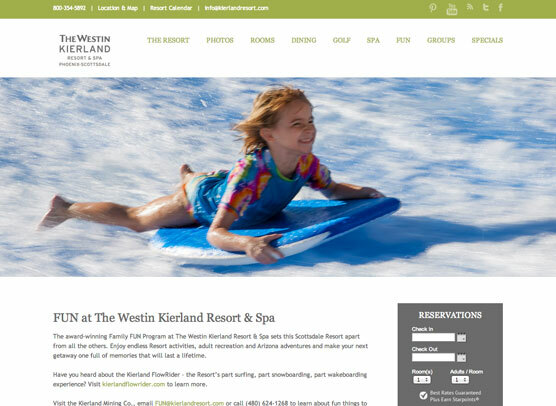 When the resort added a new “FlowRider” attraction to their water park, etainia created a blog to manage the search for their “WaveMaster” and to promote the new attraction. 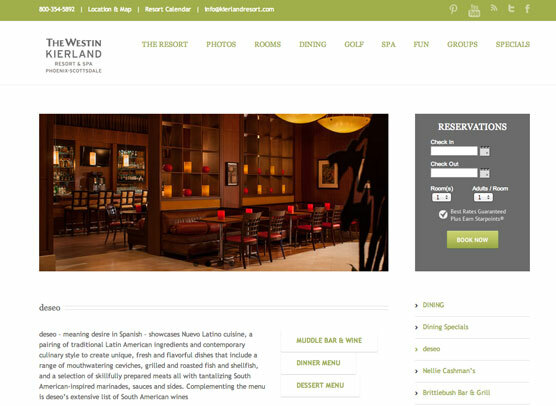 Etainia redesigned the website in 2013, reworking and simplifying navigation while incorporating the promotions and specials both within relevant pages within the site as well category specific pages and combined specials blog. 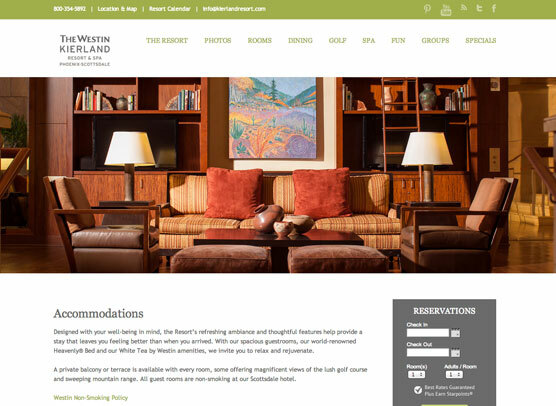 Resort staff and Starwood management are able to add and edit the promotions, events calendar and other constantly changing areas.